Sztuka Wyboru (Art of Choosing) is a multidimensional Gdańsk-based concept. 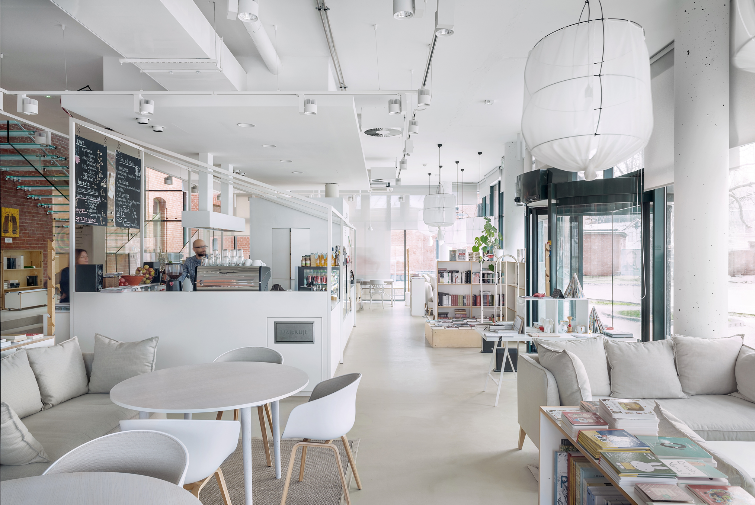 It merges creators' passions order to satisfy the most demanding whims – being both a spacious coffee house and a bookshop, an art gallery and a store offering Polish design and indie fashion. Art of Choosing (Sztuka Wyboru) occupies 2 storeys in a historic building – a former seat of Prussian barracks – which dates back to the 19th century. Today the spot is filled with the finest Polish design, first-rate coffee, delicious pastries, young art in addition to well-selected books and albums. Topical fairs, festivals, private views and exhibitions, meet-and-greets with writers, lectures, conferences and workshops are held on-site. A wonderful place to relax and unwind... and much more than that.